Girl Scouts of North Central Alabama – United Way of Central Alabama, Inc. Girl Scouts serves girls in grades K-12 using the focus of four initiatives: Science, Technology, Engineering and Math (STEM), Healthy Living, Financial Literacy and Leadership. Girl Scouts began over 100 years ago with one woman, Girl Scouts’ founder Juliette Gordon “Daisy” Low, who believed in the power of every girl. She organized the first Girl Scout troop on March 12, 1912, in Savannah, Georgia, and every year since, we’ve made her vision a reality, helping girls discover their strengths, passions, and talents. Today we continue the Girl Scout Mission of building girls of courage, confidence, and character, who make the world a better place. Girl Scouts is the preeminent leadership development organization for girls. 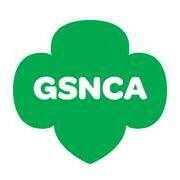 Girl Scouts of North-Central Alabama is a United Way partner. Volunteer, reconnect, donate or join today. We’re over 13,000 strong-9,500 girls and 3,800 adults in 36 counties in the state of Alabama who believe girls can change the world.